About a year ago Fi helped launch the awards show app for Nickelodeon timed to their annual celebrity-studded Kids’ Choice Awards show. 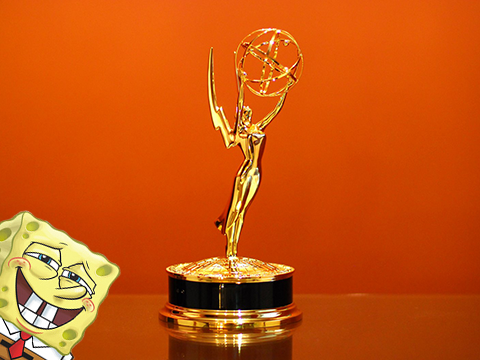 A record-breaking 223 million votes were cast last year for kids’ favorite stars, increasing engagement to an all-time high. Yeah, you could say everybody was happy. So we’ve teamed up again with our trusted Nickelodeon partner and recently launched the Nick app, a digital tapestry of all-things-Nickelodeon currently available on the iPad in the US. 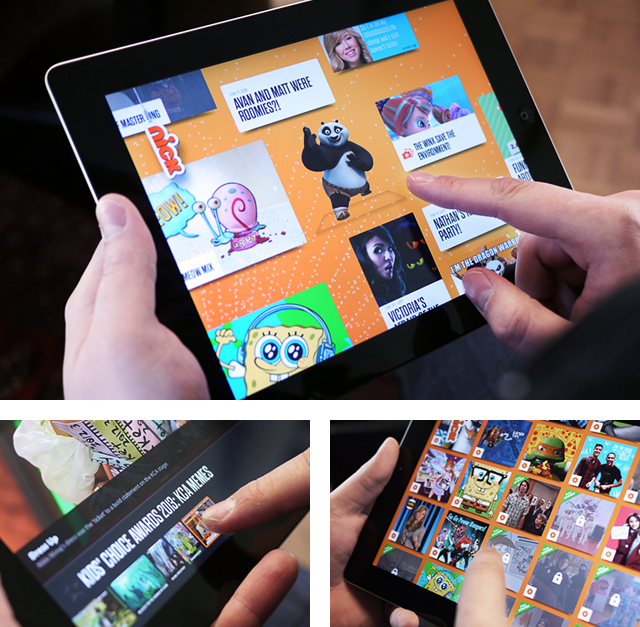 We’re delighted to see the app trending as the #1 free entertainment app on the iPad. So just what is this app all about? The Nick app is an endless stream of Nickelodeon content, or as the New York Times describes “a noisy, colorful smorgasbord of animated clips, irreverent music videos and the occasional deluge of the network’s trademark green slime.” (Don’t you just love saying that word? Smorgasbord?) The content boasts humorous original videos, animated shorts, games, full episodes of popular shows, insider access to Nick celebrities and, what everyone expects, a whole lot of slime. Kids and kids-at-heart must be keeping themselves entertained swiping left and right. 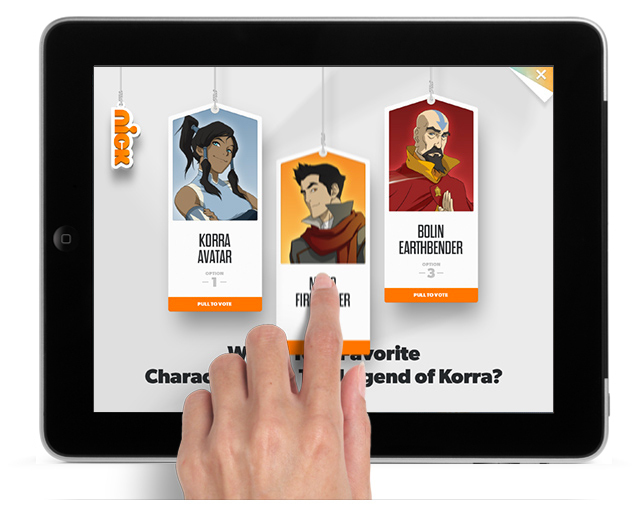 We think that featuring extras like polls and games in the app is a smart move from the authoritative voice in children’s entertainment. 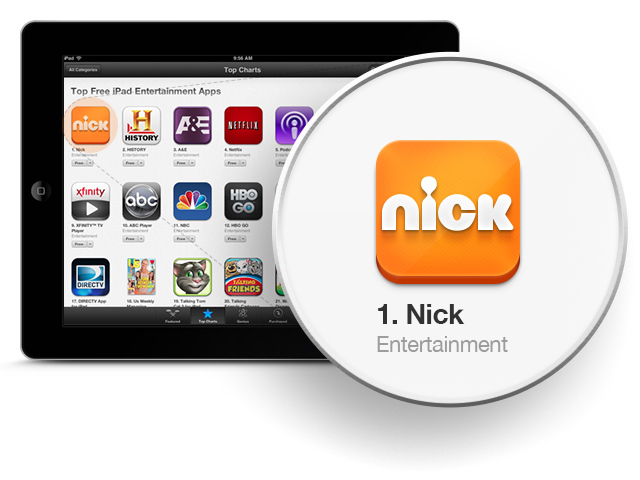 The news of how well the Nick app is ranking definitely helps start our week off on the right foot. 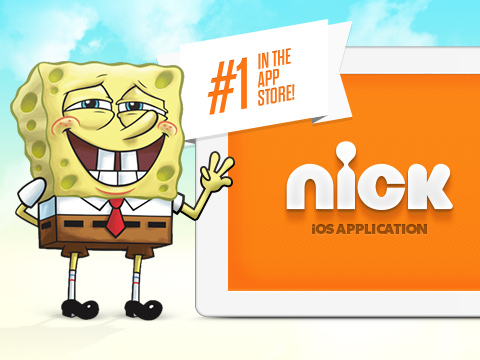 And get excited for the next Nick app release when it becomes available on the iPhone and iPod. page who has shared this impressive piece of writing at at this time. Excellent beat ! I wish to apprentice whilst you amend your web site, how could i subscribe for a weblog website? What’s up, I would like to subscribe for this weblog to take newest updates, so where can i do it please help. congrats.. Fi rocks as always!